Enjoy a lovely relaxing evening summer walk through the common. 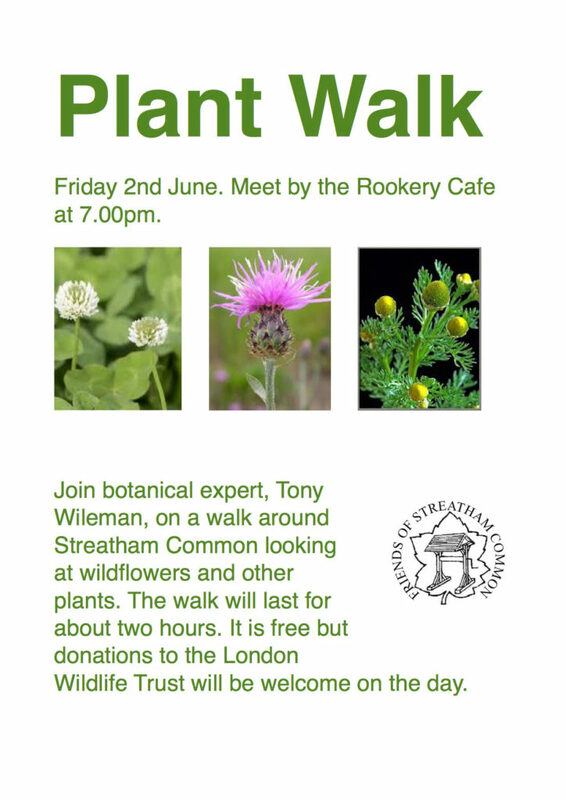 Botanical expert, Tony Wileman, will lead a nature walk on Streatham Common identifying the wildflowers and other plants that he comes across. Meet by the Rookery Cafe SW16 at 7.00pm. The walk will last for about two hours. It is free but donations to the London Wildlife Trust will be welcome on the day.